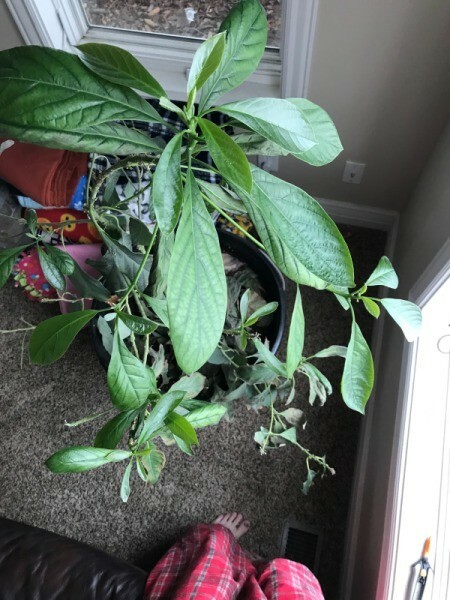 I have an avocado tree that is about 5-6 yrs old. It has occasionally dropped leaves, but they have always grown back. 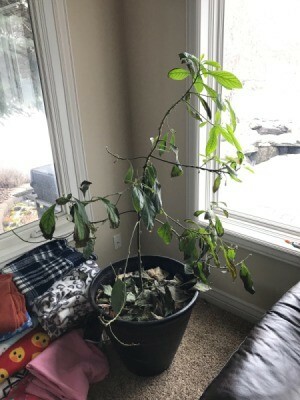 However, since it has become winter, the avocado will grow some leaves, and then a few days-weeks later they will shrivel up and fall off. The ones that grow back appear to be mostly on the top of the tree. Also, one of the branches furthest from the window has started to turn brown/black (photo down below) Will my plant die? 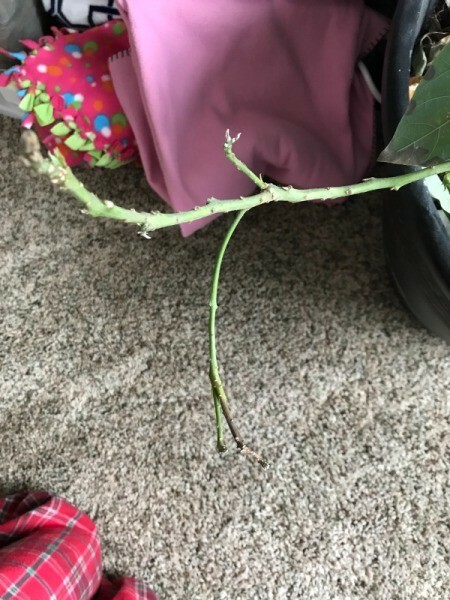 How can I fix this? I think it might be the light. The problem is, days are pretty short during winter. What could I do to add more light? Hey guys! Thanks for the ideas! I ended up drilling holes into the bottom of my pot to let the water drain better, I also added a grow light. New leaves are growing in now and I think its doing better! So happy to hear that it is recovering!! 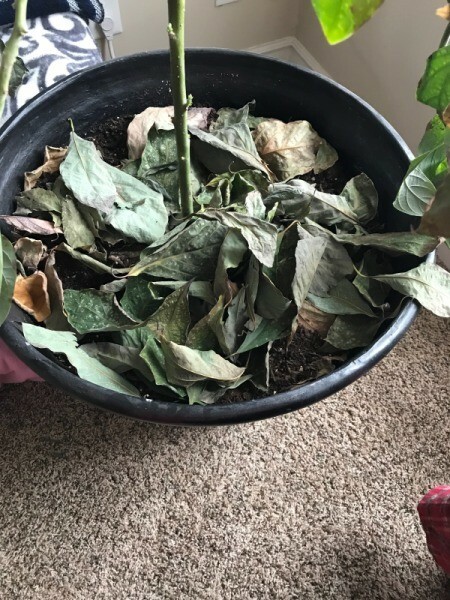 Prayers for the plant!! They are family too! !